So, you’re going swimming! Have you packed your kit yet? In all that excitement to jump in and start blowing bubbles, perfect your front crawl or smash your personal best, don’t forget your swimming essentials! The Ultimate Swimming Kit Check List has been designed especially for you and your parents, so you know exactly what to pack for your swimming lessons. P.S. Feeling like a real swimming super star? Pack your bag by yourself for extra brownie points from Mum and Dad! Swim suit – you’d be pretty bummed if you forgot this one! Swim hat – get all that hair safely out of the way – hats help the nice pool people keep the water clean, too. Googles – give you the magical ability to see underwater! Shampoo and soap – chlorine keeps the water safe but it doesn’t smell all that nice. Bring your favourite shampoo and soap to wash it all away! Your Swimming Nature towel – after all that hard work, snuggle up and get dry quick! Comb or brush – so you can sort out your hair and smarten up. Progression book – now you’re clean and dry, remember to put the stickers in your book to see how far you’ve come! Energy snack – phew! You must be exhausted! Be sure to top up those energy levels with a healthy snack like a banana or a nutty biscuit. Water – being in water doesn’t mean you don’t need it! And all that exercise will make you super thirsty. Bring along a nice drink of water to top you up! Your Swimming Nature backpack – to carry it all in, of course! And that’s it! Everything you need to go swimming. Have I left anything off? Tell me in the comments and I’ll make sure I update the list. From a previous blog, floatation was discussed briefly with some great information to get you thinking about implementing this in the water. Body position is our starting point. If your body is stiff, not streamlined with dragging arms and legs in weird angles, you might as well put a brick in your swim suit! First of all push yourself up from the bottom of the pool with your arms out in front of you like a star onto your stomach. As you slightly move forward take a deep breath and get your head down looking at the floor, let the legs move outwards to complete your star shape. If you are relaxed enough and not sticking your bottom in the air, then with some practice you will be floating as good as a beaver building a dam on a hot day. If this isn’t working then try adjusting your body into different positions that works best for you. The alternative is floating on your back, the best tip I have picked up was putting yourself on your back in a Y shape! This actually works best for me and the majority of my students I teach. As Neal from art attack would say – “try it yourself!”. Once you are feeling more confident with the whole concept of floating, let’s put it all together and try some common movements in the water. As discussed before (in the kicking section) this is a really good way of focusing on your movement through the water. 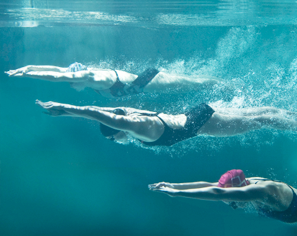 If you are holding a flat streamlined body position, you will move through the water with ease. It sounds easy but you will be surprised to see the amount of people I have taught who think they can just do this straight away. Before you push off the wall, have your head down and arms out on top of each other in front of you. Squeeze your ears gently so your face is in the water looking down. When you are ready to take action, take a breath, push off with two feet and hold the glide until you slow down. If you have rolled onto your back it is quite likely you have squeezed your ears and head too hard and not relaxed your body enough. As with improving any technique, practice makes perfect! Repeat the processes until you are getting some good power off the wall, holding that lovely streamline body. Since the age of 9 I have been competing in the aquatic environment, along the way I have been able to work with some top coaches and teachers who have guided me on to achieving fast competitive swim times and swimming more efficiently. Part 1) Kicking- The power of your legs will drive you through the water. If the legs are kicking in the right direction, in an up and down motion, this will help to power the arms out of the water and move your body forward or backwards if you are on your back. Part 2) Streamline body position- This is extremely important when moving through the water. If your body is lopsided or moving from left to right then this will slow you down, it could lead to injury or lack of strength on one side of your body. Kicking can seem an easy task to accomplish however, help to form the real power behind the arm strokes and can actually becoming a challenging and stressful process to adopt correctly. From my experience teaching most children/adults when in the water seem to do this thrash around kicking style which makes more mess than movement. The common fault is that learners kick from their knee! This is bad news for you guys as you won’t be moving anywhere anytime soon. First of all, to overcome this try to visualise your legs kicking up and down from your hips in a straight position (not bending your knee), this will help your brain and body think about that kicking motion. You can try using your arms by putting them in front of you and doing the up and down motion. Yes you will look like a bit of a loon but this little guidance could help you create some beautiful movement through the water. The aim is to keep your legs straight but allow a small flexion from your knees. Now that you are focused on kicking from your hips with straight legs you can begin to focus on the next element essential to kicking, ankles. Like most things in the water, staying relaxed is the key here, so with the ankles this is a must. Power, flexibility and using the term “floppy ankles” are going to generate movement kicking on your back and front. (Think about a boat- the legs are the motor and ankles are the propeller.) If you are still struggling with this movement then think about flicking your shoe off when you were little (or like me sometimes still do it for target practice) you will soon enough be powering through the water like a salmon up stream. After you have practiced this for a bit (and not put half the pool water on the side) you should then be up for making a little trip down the lane. I will be talking about body position in the next part of this series in more detail but this practice will help you for now…Place yourself, your bottom and one foot resting close on the wall. The other foot should be flat on the floor and not on tippy toes (This may vary on how tall you are and how deep the pool is.) Put your arms out in front of you in a straight position, your hands should be on top of each other and focus on squeezing your ears so that you like an arrow slicing through the water. This is called streamlining. Take a breath, put your head down between your arms and push off the wall, once you’ve glided for 2 seconds start your excellent kicking position. Set yourself targets in the water. Make it achievable. Aim to kick to 10m, then 15m and soon you will be strong enough to do a whole length. Once you’ve cracked this and now starting to race lane swimmers, you can use a float to develop strength and distance as you will be able to kick with your head out of the water. See the next blog to find out more on streamlined body position. Make the most out of your floating ability in swimming with these Top Tips! Welcome to Swimming Nature’s first Blog of 2014! After my first swim of the New Year I was approached by a club member who had been watching me and wondered if I could give him a few technique tips. His dilemma was that, due to a shoulder injury, he couldn’t do his usual weight sessions in the gym so he wanted to try to improve his swimming as part of his recovery and to maintain fitness. The main thing putting him off was that every time he tried to swim he sank like a lead weight! It takes time to adapt to the aquatic environment and learn to work with water, as opposed to thrashing your way through it. Swimmers often call this developing ‘feel’ for the water. Swimming is also a resistance exercise, similar to weight lifting, but places almost no stress on your joints and bones. So not only does swimming work your muscles but it doesn’t have some of the negative impacts that lifting weights can have. Having worked with numerous Adult swimmers and multi sport athletes who struggle with this concept, one thought always enters my mind when people say they can’t float, Relax! Don’t fight the water, learn to relax and let it do most of the work for you. I explained to the guy that because body type has a lot to do with your buoyancy most world class swimmers could be classified as “sinkers” because they are leaner, muscly individuals, which makes them less buoyant. But it really doesn’t matter; anyone can be a good swimmer, or even just a floater. Buoyancy is best achieved by relaxing, controlled breathing and adopting a body position that will allow you to take full advantage of the waters properties. Everyone can float but some people need more time and practice getting used to their natural position in the water and learning how to control it. Raising the arms closer to the head helps to redistribute the weight and is a better floating position than the common ‘T’ shape. Slow, gentle kicking will also help as it raises the legs closer to the surface of the water. So I advised him to try this on his own but also it’s worth looking into some lessons to help get him started. 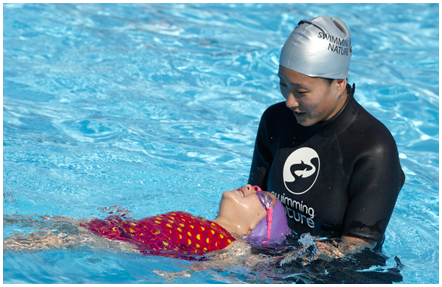 What aspects of you swimming are you struggling to get to grips with in 2014? Is your Swimming up to speed? Is your swimming up to speed? 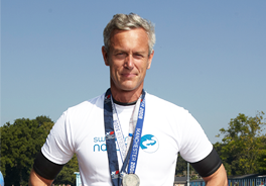 Find out how to swim like a pro as the 2nd of our myth busting blogs tackles the S shaped pull. Today I went off to enjoy my regular swim at the local pool and quickly clocked a second common swimming myth that has been passed down by swimmers and even some teachers over the decades. The dreaded ‘S-shaped Pull’! It all started in the 1970s when ex-Olympian and US coach JE Counsilman, an innovator in the sport conceived the ‘S-pull’. 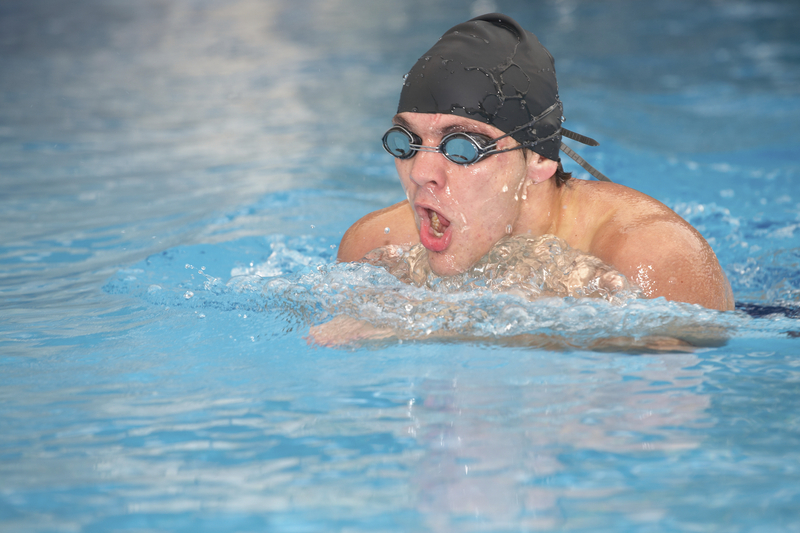 The technique is typically characterised by a thumb first entry at the front of their stroke, sweeping outwards, back in and then finally sweeping out again by the thigh and was thought to be the optimum path for the hand to follow in front crawl to produce propulsion. I have to admit I was slightly mesmerised whilst watching this strange ineffectual technique and wondering why it was still in use and more shockingly, why it was still being taught! You may well have heard of this technique and even be trying to follow it yourself. If so, the main issue here is that the effectiveness of the S-shaped pull was disproved in the 1980s as it was only based on limited analysis of front crawl technique. It’s fundamentally flawed because it didn’t take account the roll of the body when swimming the stroke. So unless you have the physique of Sponge Bob Square Pants this technique and thinking are totally defunct. Not only can it lead to other technique errors developing but can increase the chances of shoulder injury too. So if you feel like you’re putting in a lot of effort into your front crawl pull and not getting very far it’s probably down to incorrect technique. These days all great swimmers enter with a flat, relaxed hand, catch and pull the water straight back behind them as they rotate. It’s faster and has a much reduced risk of shoulder injury. I enjoy watching the swims of top swimmers like Mark Foster or Michael Phelps on youtube to see how they do it… purely for technique purposes of course! Get in touch and tell us what aspect of swimming or stroke technique you struggle with? Whilst recently talking to one of our team member’s about why she doesn’t swim very often I realised that like many people she was put off by the various ‘swimming myths’ that are still around today. In an attempt to help her overcome these hurdles and realise the benefits of a regular dip I set out to see what common myths were out there and do some myth busting. The first common myth that popped up this week when I asked some of our team members if they fancied joining me for a swim was asthma. Of course it could have just been an excuse but that only made me more determined to debunk this particular swimming myth. So if like them you thought that having Asthma was a reason not to go swimming you might want to think again! 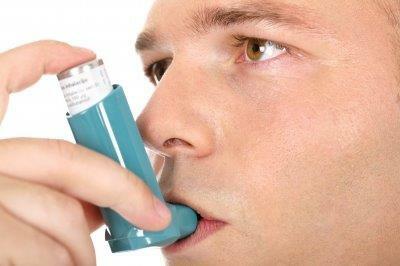 According to the NHS, 5.4 million people in the UK are currently receiving treatment for asthma. That is 1 in 12 adults and 1 in 11 children. Although physical exercise such as swimming can be a trigger for many people with asthma, being fit can actually reduce the frequency of exercise induced asthma. The fact is that a healthy lifestyle and keeping fit are important factors in managing asthma effectively. Swimming can be one of the best forms of exercise to help keep your asthma under control because whist in the pool environment you are breathing in warm, moist air rather than the cold, dry air that can lead to symptoms. Make sure you do a good warm up at the beginning of your session as this will also help prevent asthma symptoms during your swim. 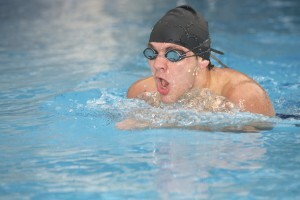 Regular swimming training can also increase the volume of the lungs and help you to develop better breathing techniques, as well as improved muscle tone and general fitness. Swimming is still one of the best forms of exercise for people with asthma but as with any medical condition it’s always worth speaking to your Dr. if have not swum regularly before or suffer from symptoms during exercise. Expectations are then that more Swimming Nature team members will be joining me on my next swim albeit with inhalers to hand should they need it. I know that there are many more myths out there so get in touch and let us know what’s stopping you from taking the plunge or taking the fun out of your swim session. Keep an eye on the Swimming Nature Blog and we’ll help to bust your swimming myth!